Get into ballet history with Jerome Robbins at PNB. Then branch out with contemporary work at Whim W’Him, Velocity Dance Center, and On The Boards. Choreographic Shindig IV: You can always rely on Olivier Wevers’ Whim W’Him to subvert dance-world convention, and nowhere is this more evident than in the company’s annual Choreographic Shindig. Launched in 2015, the program allows Whim W’Him dancers to choose for themselves which choreographers will make work for them to perform as a company. This year, they selected (out of a pool of 200 applicants) Alice Klock, 2017 choreographic fellow at Chicago’s Hubbard Street Dance; Omar Román De Jesús, whose award-winning work explores bold subject matter like mental illness and social issues; and Brendan Duggan, who co-founded Brooklyn contemporary dance collective LoudHoundMovement. The result will be seven performances over 90 minutes in a compressed burst of variety and experimentation you’re not likely to find elsewhere. Sept. 7-15; Erickson Theater Off Broadway, 1524 Harvard Ave., Seattle; $30-$55, $5 TeenTix, $15 Student Rush; whimwhim.org — M.B. “New Dances II”: Kate Wallich is one of those names you can’t miss if you follow Seattle dance even casually. 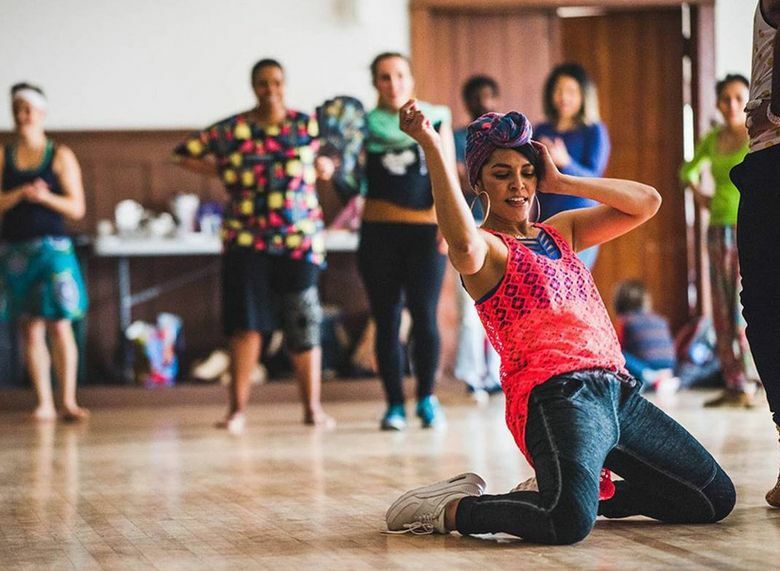 She’s made her name as a choreographer, educator, and the leader of the best dance exercise class you’ll ever go to, cult fave Dance Church, and in 2017, began YC2, a collaboration between Studio Kate Wallich and Velocity Dance Center intended to nurture dancers through space, training, and paid rehearsal and performance time. This fall, the YC2 dancers will perform new work from Wallich; a new piece from Tom Weinberger choreographed on the company; and Sidra Bell’s “Beyond the Edge of the Frame.” Sept. 20-23; Velocity Dance Center, 1621 12th Ave., Seattle; $15-50, velocitydancecenter.org — M.B.